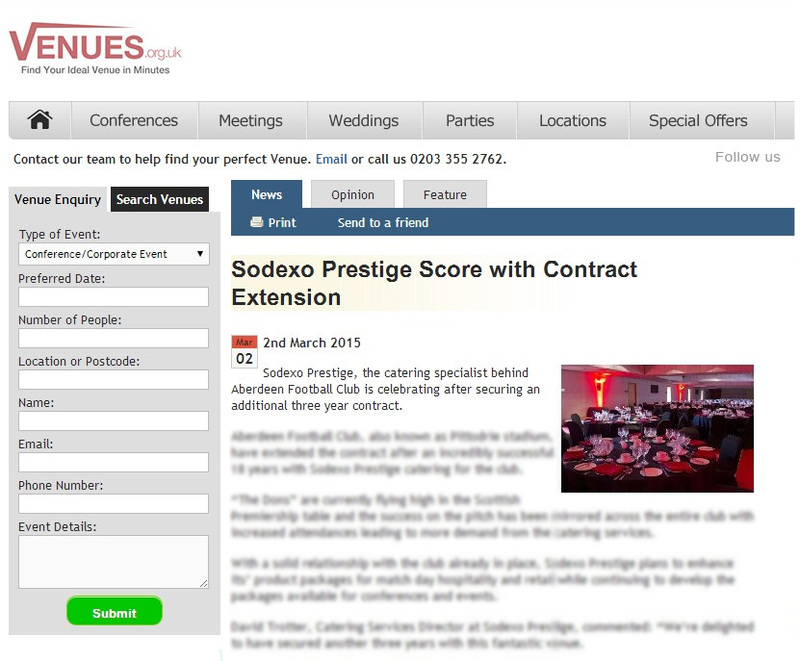 Sodexo Prestige Venues & Events, catering and hospitality partners to several of Scotland’s most exclusive venues, including the Royal Botanic Garden Edinburgh, are celebrating a great result as they secure an additional three year contract with Aberdeen Football Club. The services giant is building on an 18 year relationship with the club and plans to develop product packages for match day and non-match day hospitality, while continuing to develop its conference and events packages. The Club will also be joining Sodexo Prestige in support of this year’s ‘Year of Food and Drink’ and plans to host several events which have a strong food and drink focus and that support local produce and suppliers in Scotland. 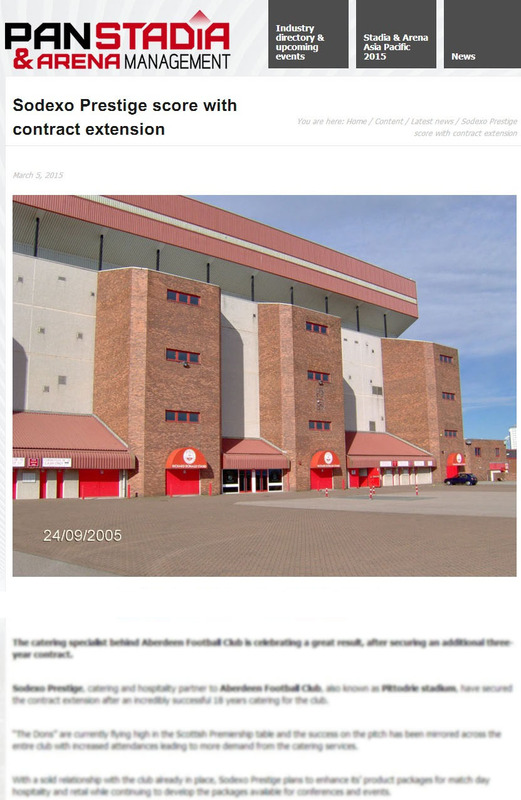 News of the contract extension was picked up in a wide variety of local, business and trade titles, including, Venues.org, Meetpie.com, Aberdeen Business News, BQ-live and Aberdeen Evening Express. Scotland’s newest newspaper, The National, also featured the story online and in print. Holyrood PR works with Sodexo Prestige to share their many different success stories with key industry press and national and local newspapers.